Via UBC News – The Iraqi Popular Mobilization paramilitary force said on Sunday that it had pushed Daesh (IS) out of several villages west of Mosul, coming close to Syria’s north-eastern border. 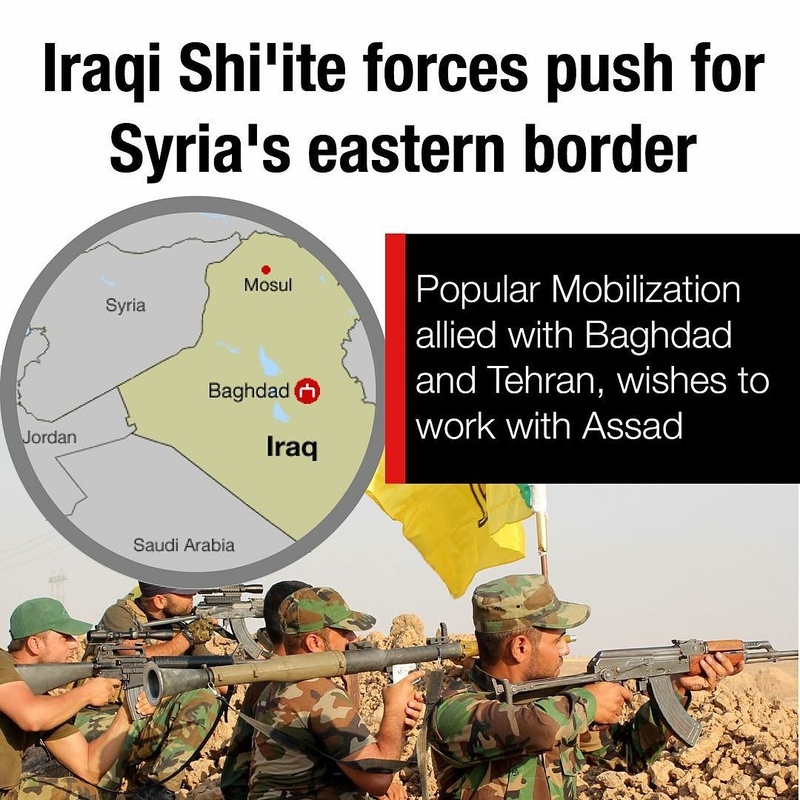 The Iran-backed Shi’ite force reports primarily to the also Shi’ite dominated government in Baghdad. They are a key component in the Iraqi-led campaign to push so-called Islamic State out of Mosul and Ninevah province as a whole. A United States-led anti-Daesh coalition also backs the effort along with Kurdish Peshmerga and local militias. The villages liberated include Kojo, where Daesh abducted over 200 Yazidi women during their “lighting strike” in 2014., said Popular Mobilization leader Abu Mahdi Al-Muhandis. The villages will be returned to the Yazidi group, a Kurdish-speaking people. Iraq wishes to control the border area near northern Syria with the assistance of Syrian President Bashar al-Assad, who is backed by Russia and Iran. According to reports, bringing the Iraqi and Syrian government forces together would give Mr. Assad a stronger position in the fight against rebel opposition groups, which mainly occurs in Syria’s east. On the Iraqi side currently, either Daesh or the semi-autonomous Kurds control the territory. The Kurds in the semi-autonomous Kurdistan in Iraq plan to vie for full independence once Daesh is pushed from Mosul and, thus virtually Iraq as a whole. Daesh still controls large swatches of land in Syria, however Kurds backed by US air strikes have been effective in gaining ground on their so-called capital of Raqqa.